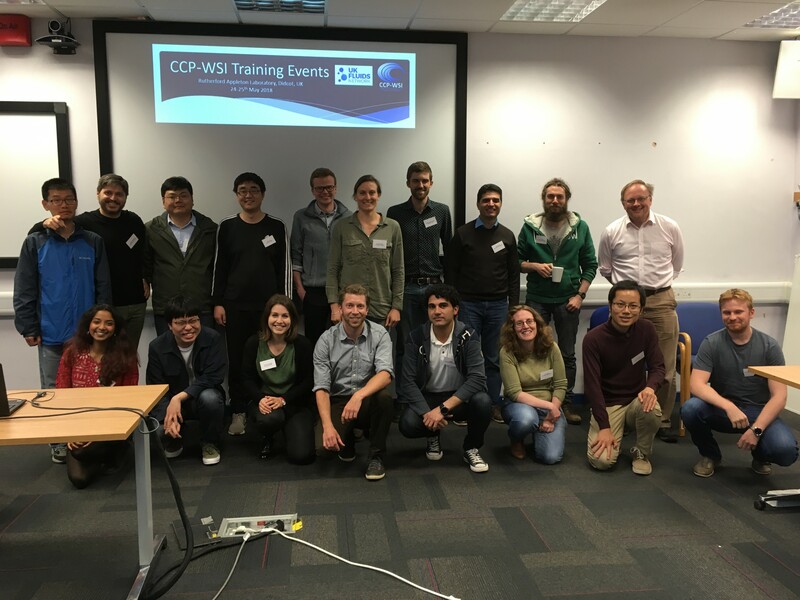 CCP-WSI will be holding 2 training workshops in May 2018 at Rutherford Appleton Laboratory, Didcot. Details for both can be found below. Lunch and refreshments will be provided, please note registration closed on 16th May. In addition there will be a CCP-WSI community dinner held at The Crown and Thistle at 7.30pm on 24th May. There is a set menu which costs £25 per person for 3 courses and we regret that the meal will not be subsidised by CCP-WSI. Please note that the dinner requires pre-ordering. No previous experience with Git is required, though we do expect attendees to be willing to contribute to the CCP-WSI code repository as and when appropriate. We will cover the basics of the Software Development Cycle, focusing mostly on the use of version control with Git. The workshop will consist of a combination of presentations, practicals and discussion with plenty of time for questions. Attendees will need to bring a laptop installed with OpenFOAM (ideally version 5.0) and Git. In addition everyone will need a GitHub account, please register if you don't already have one and email your username to gemma.poulter@stfc.ac.uk. This is required to add you to the CCP-WSI organisation. This course, taught by Prof Gavin Tabor and Dr Ed Ransley, is intended to introduce OpenFOAM users to programming using the OpenFOAM Computational Continuum Mechanics library. If you have been using OpenFOAM to run CFD simulations, and feel ready to take the next step to becoming an OpenFOAM modeller or developer, then this 1 day course will give you the skills and knowledge to do so. You will learn how to read and modify existing code, write solver and post processing apps, and introduce new physical models, boundary conditions, run-time selectable libraries and functionObjects. There are four sessions, detailed in the agenda below, and each will include hands on exercises. Some knowledge of basic programming (eg. in Python, Java, MatLab, C or C++) would be useful; you should know how to run OpenFOAM simulations, but high level knowledge of C++ is not necessary. In the final session, we would like to invite participants to give a 2 minute 'lightning talk' on any WSI code developments/applications or particular WSI challenges they have encountered (there will be provision to display a slide or two if you desire). If you are interested in giving a lightning talk please let us know but spontaneous urges to contribute will also be encouraged on the day! 15:30 - 16:30 WSI applications including "lightning talks"